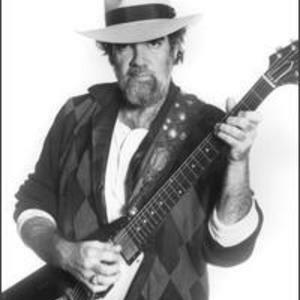 Lonnie Mack's (born Lonnie McIntosh on July 18, 1941 in Harrison, Indiana) career started in 1963 with a hit record, his instrumental version of Chuck Berry's "Memphis". Mack's lightning-like guitar style was even more evident in his follow-on hit "Wham". His 1964 album The Wham of that Memphis Man revealed fine vocal abilities as well. Today he is regarded as one of the true early virtuosos of electric guitar. Today he is regarded as one of the true early virtuosos of electric guitar. He influenced Jimi Hendrix, Cream, Jeff Beck, Stevie Ray Vaughan, the Doors, Frank Zappa, and the rock groups of the San Francisco Sound. Mack also played bass on The Doors' album Morrison Hotel, specifically "Roadhouse Blues". He is known for playing the uniquely-shaped Gibson Flying V guitar.